At Fat Guy Media, we utilize an Inbound Marketing software platform called HubSpot. HubSpot uses various online tools and analytics to turn a visitor into a customer, without interruptive traditional marketing tactics. This single platform allows you to seamlessly organize contacts, target your audience, send emails, post blogs and more! In conjunction with your Inbound Marketing Plan, we advise as to which HubSpot pricing plan will best fit your company’s marketing goals. Why do I need HubSpot for Inbound Marketing? Analogy: HubSpot is the Kitchen and Fat Guy Media is the Chef. HubSpot gives us a suite of marketing capabilities in one platform. It lets us keep track progress to make smart marketing decisions quickly. Are we required to use HubSpot for Inbound Marketing? We highly suggest it. Our inbound pricing is based around using HubSpot as the central marketing platform. Without HubSpot, we would have to charge you an additional fee, due to the fact that it would take our team more time to implement, research and report your monthly marketing efforts. Do I need to have a year contract for Hubspot? Yes. HubSpot contracts require a one-year commitment. In our experience, customers who commit to a full year of HubSpot are given the proper time to accumulate inbound marketing success. Your long-term success is the main goal and we’re here to help you reach that. Does HubSpot have any overage fees? Not always. When beginning a HubSpot plan, we recommend choosing a plan that comfortably fits the scale of your business and expectation of inbound success. 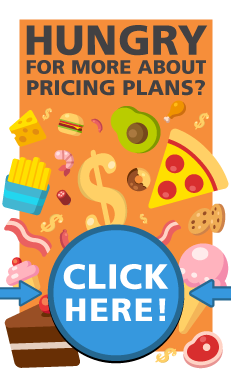 Your database will grow over time and preparing for that when purchasing a HubSpot pricing plan will prevent jumping from one plan to another based on limits from smaller HubSpot pricing plans.